This week’s SATURDAY SIX looks at Six Things We Lost From the Theme Park World in the Last Year. While we have a lot of things to look forward to in 2014, including some real work being done up the upcoming James Cameron’s World of Avatar, it’s time to look back at some of what we won’t be seeing again. An Affordable All-You-Can-Eat Deal within a Theme Park?! In time, people probably won’t even believe a deal like this existed inside a Disney or Universal theme park. 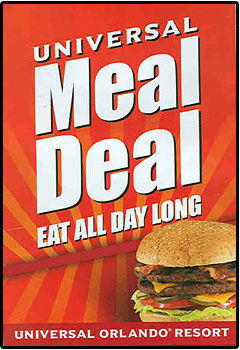 While the price increased over the years, the Meal Deal price peaked at just $20.99 for an adult. The Meal Deal allowed each guest one entree and one dessert for an unlimited number of times in the participating restaurants. And though a drink was not included in the Meal Deal, Universal has a great refillable drink deal and an even better Coke Freestyle program. In combination, the Meal Deal and the drink programs allowed the average guest who liked to eat to make out like a bandit. Now Universal has shifted over to a Dining Plan that is much more in line with what guests have experienced at Disney, making finding value much tougher. In fact, you’ll probably see a 10 minute wait at Despicable Me: Minion Mayhem before you can figure out how to save any money on food at Universal, but we will look back and remember a time when guests could eat as many burgers at Captain America Diner as they wanted….could get their fill of pizza at Louie’s, and could chow down on chicken fingers at Circus McGurkus until they waddled out of the park. And, by gosh, we’ll miss those days. By the end of 2013, Universal’s CityWalk had already started to see some massive changes to its lineup. Red Oven Pizza Bakery was open in the former home of the Pastamore quick service location, and other stores and restaurants were shut down or in the process of being closed for the upcoming full-scale overhaul of the area. Latin Quarter, Endangered Species, Cigarz, TCBY, and the Pastamore table service location had all seen their last customers. While I didn’t shed too many tears for any of those locations, I did wave a tearful goodbye to Katie’s Candy Co. Located next to TCBY and Cigarz, Katie’s and the other two locations were closed to make way for Menchie’s and Bread Box. 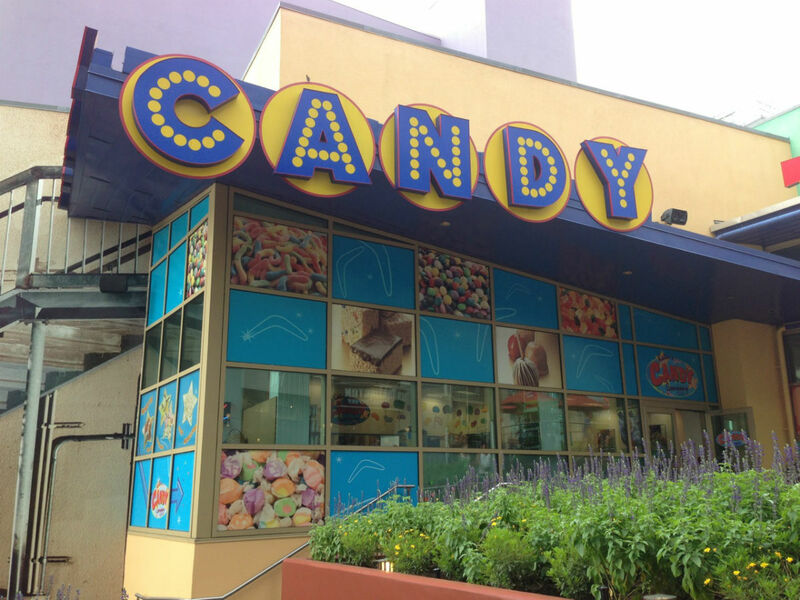 I was a big fan of their its eclectic variety of candy, from giant gummi bears to candy cigarettes, so I found myself stopping by Katie’s on every trip to CityWalk. I also liked that Katie’s was the only place to buy physical copies of Attractions Magazine. Losing Arctic Express is like a 1-2 punch to my gut because 1) I lose one of my all time favorite desserts in the park with the Mega Funnel Cake Sundae and 2) it’s being replaced by Starbucks. Yes, another Starbucks inside a theme park. Just what we needed. The Mega Funnel Cake Sundae was everything you could want in an ice cream dessert: a warm piece of fried dough combined with soft serve ice cream is an unbelievable combination. Now add whipped cream, strawberry sauce, and chocolate drizzle? I should have chained myself to the counter. Sadly, Arctic Express is gone, and training is already underway for the new Starbucks employees, even though the new location is not open yet. I took as much glee as anyone when the Main Street Bakery at the Magic Kingdom converted over to a Starbucks, and now I feel the pain. I will pour out a Frappuccino in your honor Arctic Express, I promise. Cap’n Jack’s makes this list not because of any emotional attachment, but because it has been a part of our Dowtown Disney experience for so long. Even thought I almost never had the inclination to go in, it was always there. It did have nice views of the area, and for the most part the food wasn’t awful (although it wasn’t great, either). Looking back, the biggest selling point to Cap’n Jack’s is that it was a place you could go after finding out it was going to be an hour long wait (or more) for T-RREX or Rainforest Cafe. Cap’n Jack’s was always there for us with no wait. Always the bridesmaid, never the bride. Many of us miss Pleasure Island and are looking forward to the possibilities within Disney Springs. We’re looking for something to bring back that magic that Downtown Disney has been missing for a while. While the parking situation is currently a mess and we’ve only seen buildings in PI and Cap’n Jack’s taken down, we know something is coming, and that’s exciting for an area that has needed change for far too long. 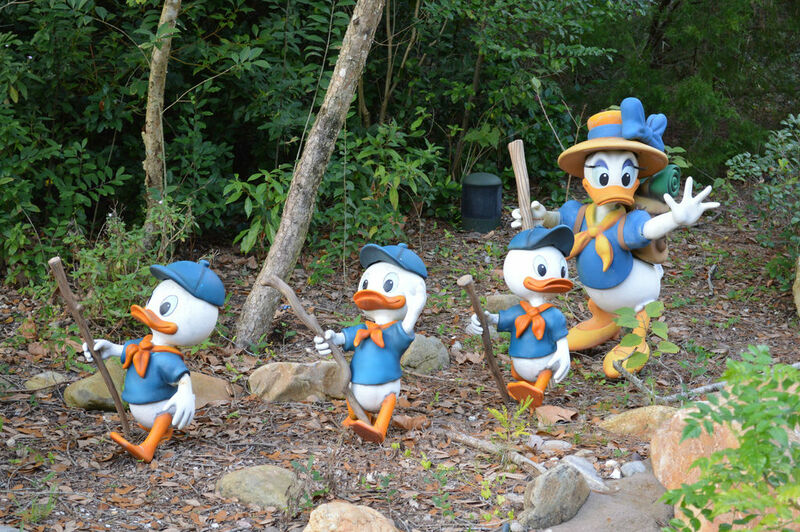 This is one of the more recent losses, as the slow transition of taking everything out of Camp Minnie-Mickey to make way for the upcoming Avatar Land finally peaked with the official closure of the area on January 6, 2014. 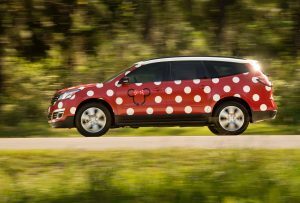 Even though the area was a logistical nightmare in a theme park with the most available space in the entire world, there was a certain laid back charm about Camp Minnie-Mickey that will be sorely missed. We would have rioted if the Festival of the Lion King had disappeared into the ether along with the greeting trails, but the stunning show is supposed to reopen later this year in Africa. We say goodbye to a sleeping Goofy and Donald Duck hooking a boot out of the river, but we say hello to our new Na’vi overlords. DVC is here, and it’s here to stay. 2013 brought with it the opening of the Grand Floridian Villas and work on the next official DVC property at Disney’s Polynesian Resort. What is coming could be incredible, and in fact the most exciting DVC project to date, but it comes at cost. The view from the Poly beach is one of the most treasured spots in all of Walt Disney World. 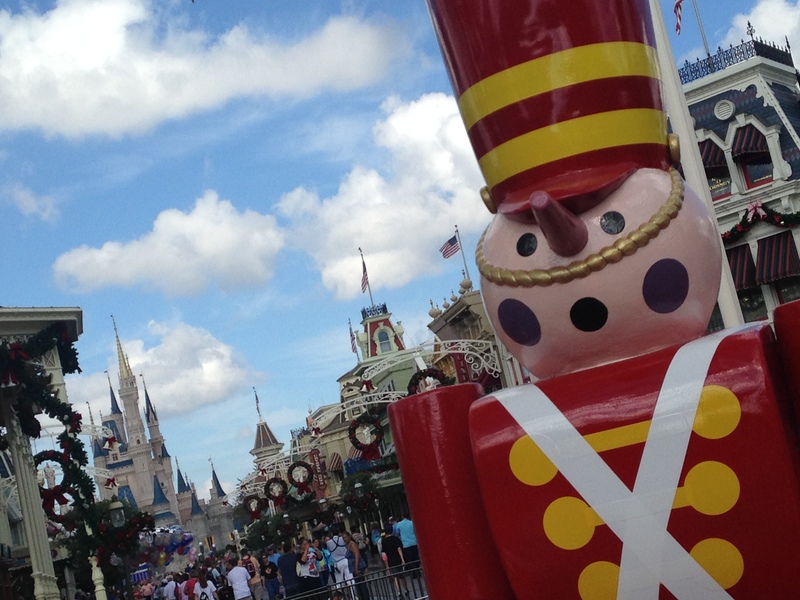 Many guests love to relax, take in the atmosphere, and even watch Magic Kingdom fireworks, not to mention get hitched. 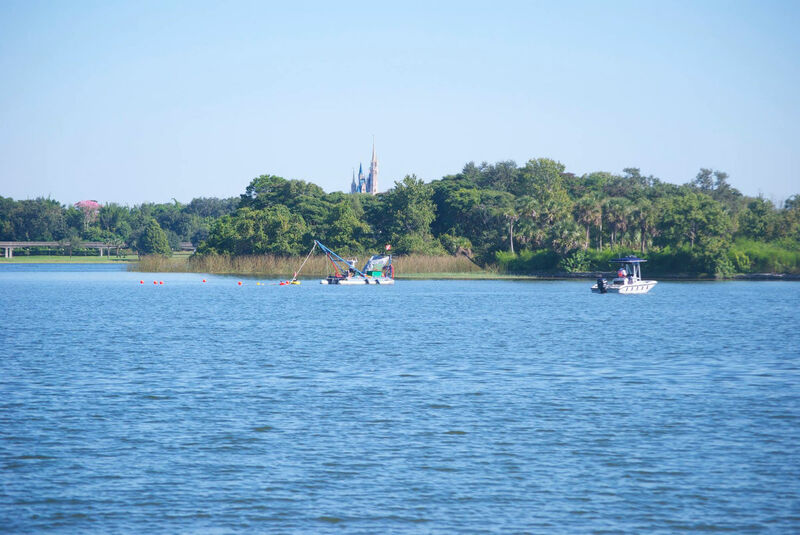 The possibilities for all of those things are now uncertain as construction continues in the Seven Seas Lagoon. 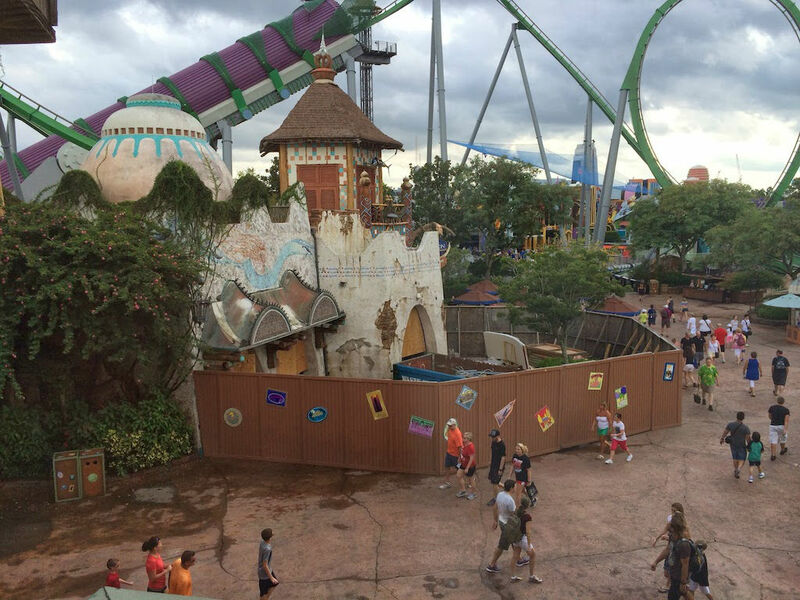 So there you have it: Six Things We Lost From the Theme Park World in the Last Year. See you next weekend for the latest edition of the Saturday Six. If you had fun, be sure to check out The Magic, The Memories, and Merch! articles or, for your listening pleasure, check out Pardon the Pixie Dust podcast. Special thanks to Morgan Crutchfield and Seth Kubersky, Attractions Magazine, and Universal NOW!’s Brandon Glover for their assistance with this article. While these choices are good, there’s an obvious one missing: the loss of paper Fastpasses and the ability to maximize your visit at Disney World parks. 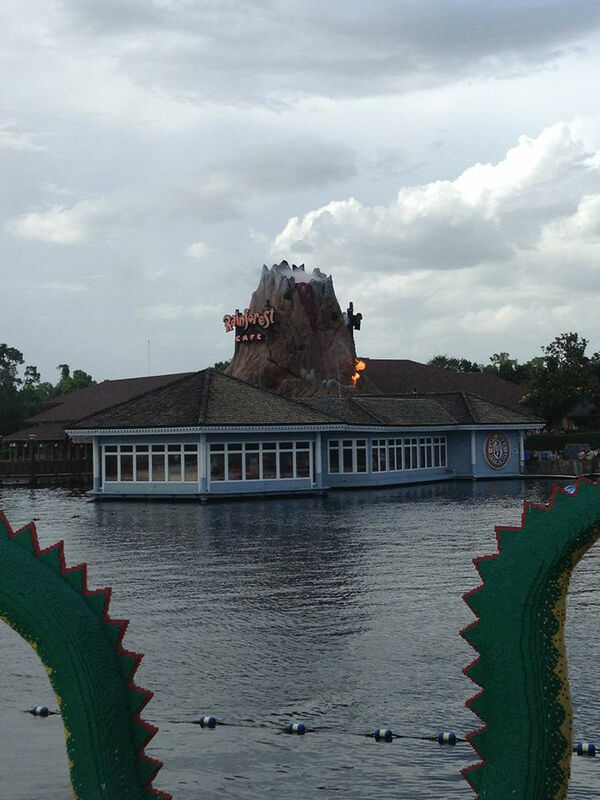 That’s the biggest loss of 2013 and is going to continue to negatively impact guests in 2014. I agree, Dan. Derek and I battled nearly to the death over this one. But, since they’re not actually all gone yet, I was brutally rebuffed. I guess that makes sense, but it does seem like a very big story for 2013. I agree. During my last two trips to Animal Kingdom, the option for paper FastPasses was gone entirely and replaced with a tiresome procedure that involved talking to a cast member who used the world’s slowest network to book me three FastPasses to three different attractions when all I wanted was three FastPasses to the Safari spread out throughout the day. I suspected the “new” system would not work for my family and would not accommodate the way we prefer to visit the park and I was proved 100% correct. An unheralded loss in 2013 was Rhino Rally at Busch Gardens Tampa. It was inevitable once the crazy water ride element was eliminated a year ago when the new Cheetah hunt roller coaster debuted. The attraction ended near the end of 2013 as a pale version of its once wild experience, consisting of a truck ride through a menagerie of mild animals and one rhino. Where can we watch the water parade if the Poly beach view is gone? The beach hasn’t gone in its entirety. When I was there in November we watched fireworks and the water parade from the beach towards the pool; it was just the end of the beach that was roped off. I’m fairly certain that that continues. Its just a smaller area than it was. If the Polynesian’s construction disrupts your enjoyment of the Electric Water Pageant, it also visits the other resorts on Bay Lake and Seven Seas Lagoon, as well as Magic Kingdom (if it’s open late). See http://touringplans.com/magic-kingdom/attractions/electric-water-pageant.